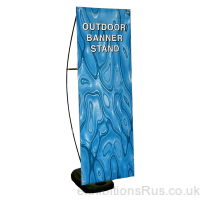 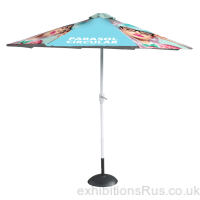 Outdoor banner stands and display systems for external events, fetes and fairs. 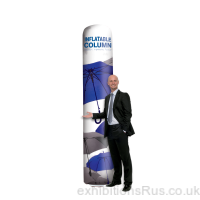 These promotional display systems are usually manually assembled and rolled graphics fitted on site. 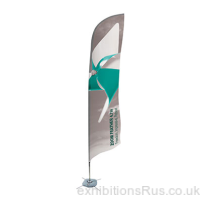 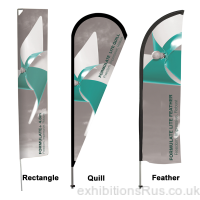 Media can be printed Pvc banner or fabrics held up by means of a fixed or telescopic pole or set into a metal framework of some kind. 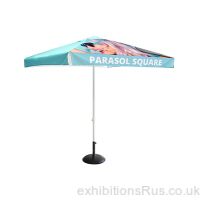 All units come with some style of weighted base which could be water or sand filled to aid stability in external weather conditions and uneven ground. 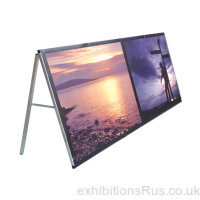 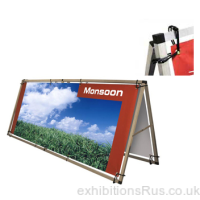 Choose from our range of quick and easily assembled portable outdoor banner stands, pavement signs and banner display frames, all supplied with instruction sheets. 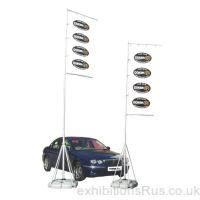 Some of the units can even be used for double sided display. 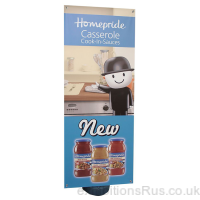 Digitally printed high quality Pvc graphics and fabrics with brilliant colour reproduction and depth of colour are standard with our external displays.